Answers to frequently asked questions about YESKAMO products. How to avoid frequently repeated mail alerts? How to reset time and date information? 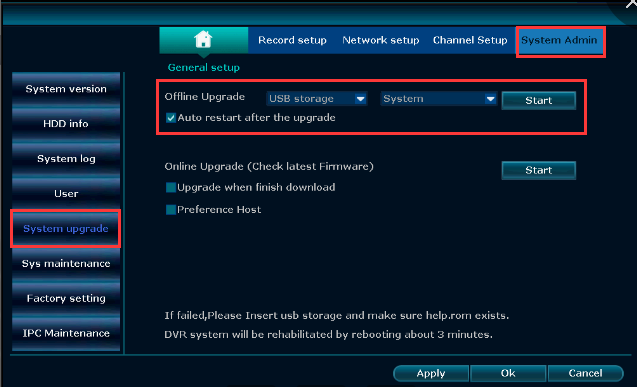 How to upgrade YESKAMO NVR system? How to setup email alert function for motion detection? How to insert TF Card for camera? How to turn off the phone app notification? How to turn on and turn off the siren alarm from camera side? 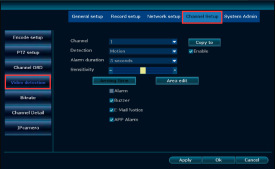 How to view the motion detection alert’s recording? 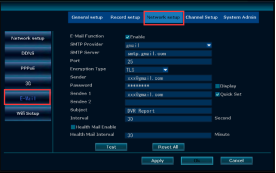 How to login the NVR system? Default password is no password, leave it blank. And click “ok” to enter NVR system. How to remote view camera on phone app? Search the APP "YESKAMO" "IP PRO3" or "EseeCloud3" in App store or Google play. If you changed the password on NVR recorder, please delete Cloud ID on your phone app and re-add it with the new password again. 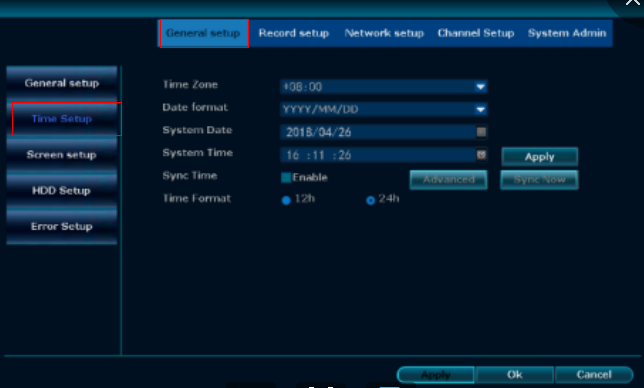 How to customize recording mode? The default recording mode is 24/7 continuous recording, but you can change it to time scheduled recording or motion detection recording based on your requirement. For this alarm security camera system, the motion detection recording can be divided to PIR+motion detection recording and pure motion detection recording. Right click mouse to enter main menu> system setup> record setup> record plan> select channel (PIR camera) > click “reset” > click “motion” > customize date and time with mouse > click “apply” and “ok” to save the setting. Note: This kind of recording mode is PIR + motion detection, it means only both PIR and motion detection are triggered by living objects and the NVR system will start recording. Since the normal camera doesn’t support PIR function, so please disable PIR function first. 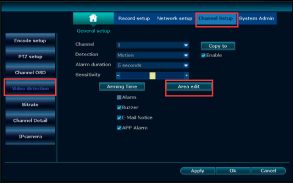 How to set up the PIR Alert and motion detection alert? 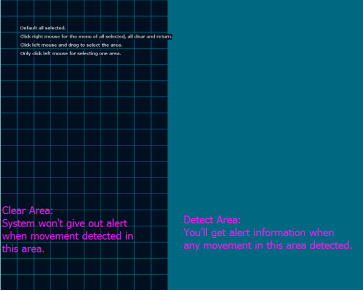 There are 3 types alert for motion detection: Buzzer, Email alert, phone app notification. Please note: system doesn’t support alarm function; NVR will give out sound of “dididididi” when you enable buzzer function. If you want to set up the email alert for motion detection, the POP of this email should be enabled, how to enable the POP, please kindly google it because the setting is different between each email address. Please firstly click “test” to see whether the setup successful, if fail, please contact us directly. How to communicate to camera side from phone app? Why I can not hear voice from camera side? Why I can not talkback to camera side? How to talk back the camera side via monitor? Double tap to enter camera screen you want to talkback > single tap the screen> then press and hold “ microphone” button to talkback.